Enjoy the shortest day of the year in the northern Hemisphere! The days start getting longer from here on out. In Oceanside California. According to Time And Date, Oceanisde California will see only 9 hours, 57 minutes, and 26 seconds of sunlight today. How many hours of sunlight will your City See? The winter solstice (or hibernal solstice), also known as Midwinter in far northern latitudes, is an astronomical phenomenon marking the day with the shortest period of daylight and the longest night of the year. It occurs when one of the Earth's poles has its maximum tilt away from the Sun. It happens twice yearly, once in each hemisphere. In the Northern Hemisphere this is the December solstice and in the Southern Hemisphere this is the June solstice. The axial tilt of Earth and gyroscopic effects of its daily rotation mean that the two opposite points in the sky to which the Earth's axis of rotation points (axial precession) change very slowly (at the current rate it would take just under 26,000 years to make a complete circle). As the Earth follows its orbit around the Sun, the polar hemisphere that faced away from the Sun, experiencing winter, will, in half a year, face towards the Sun and experience summer. This is because the two hemispheres face opposite directions along Earth's axis, and so as one polar hemisphere experiences winter, the other experiences summer. More evident from high latitudes, a hemisphere's winter solstice occurs on the day with the shortest period of daylight and longest night of the year, when the sun's daily maximum elevation in the sky is at its lowest. Although the winter solstice itself lasts only a moment in time, the term sometimes refers to the day on which it occurs. Other names are "midwinter", the "extreme of winter" (Dongzhi), or the "shortest day". In some cultures it is seen as the middle of winter, while in others it is seen as the beginning of winter. In meteorology, winter in the Northern Hemisphere spans the entire period of December through February. The seasonal significance of the winter solstice is in the reversal of the gradual lengthening of nights and shortening hours of daylight during the day. The earliest sunset and latest sunrise dates differ from winter solstice, however, and these depend on latitude, due to the variation in the solar day throughout the year caused by the Earth's elliptical orbit (see earliest and latest sunrise and sunset). Seasonal Delay is the term relating the lag shift between the coldest winter weather, and the winter solstice. As latitude increases, Midwinter correlates more closely with the winter solstice. 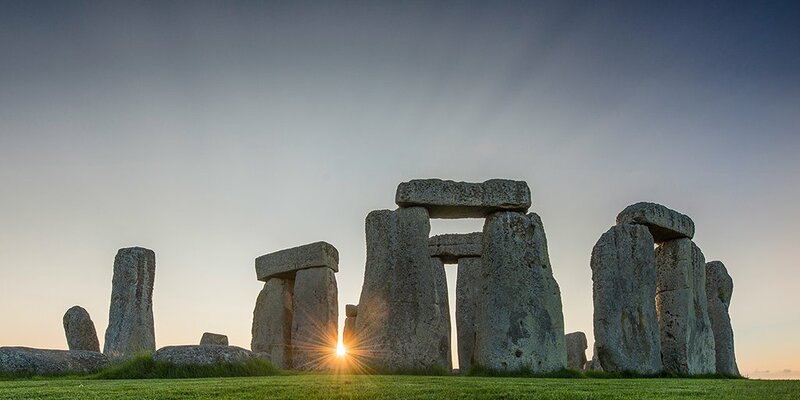 At Stonehenge, people will gather for the rising sunrise on 22 October 2018. This is what it may look like (without the throngs of people). In Oceanside California, this is what the sunset should look like tonight.